Some Important Info. Re CD’s “Reiny District Am” Masters!!! What is the Reiny (Central) District Masters? In 1981 a gentleman by the name of Reiny Schleier recognized that not all Shufflers of the Central District of Florida were being appropriately recognized for their talent and dedication to the sport. The “Pros” (professionals) and the “State Ams” (State Amateurs) were competing at the end of the season and awarded prize money in accordance with their placement. However; there was a class of shufflers, a component that had been overlooked. The overlooked component was the “District Amateurs”!! Schleier believed that this component was the key component, the most important class of shuffleboard players. He convinced the Board of the Central District to extend the recognition to District Amateurs, recognition that began in 1981 and has carried on to this day. 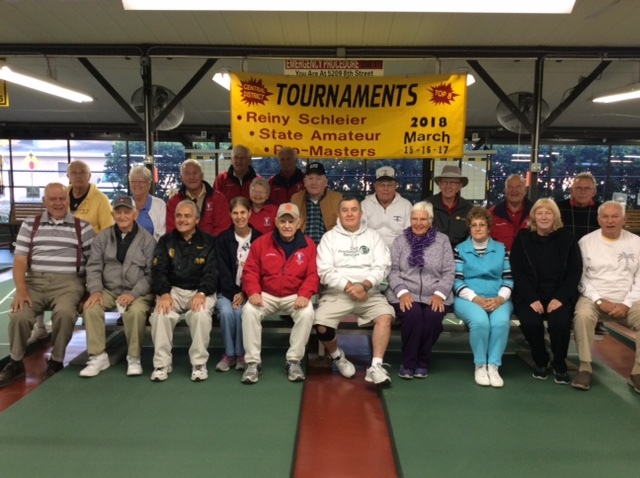 In honour of Schleier’s significant contribution to Shuffleboard, the end of season tournament for the District Amateurs is named “The Reiny Masters”. Stan McCormack. March of 2018. 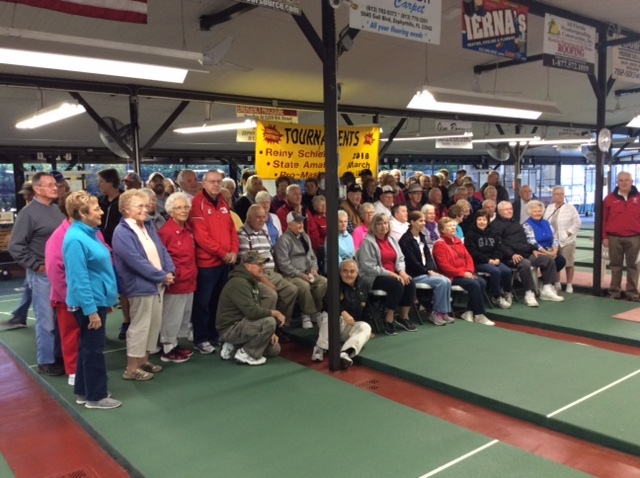 Entire Group Assembled for the 2018 “Reiny”. The next pic I will insert is of THE WORKERS!! Without Workers, ESPECIALLY in Shuffleboard, where would we be??? In other sports, sufficient revenue is generated to pay the workers; NOT SO IN SHUFFLEBOARD. Every “Reiny Player”, every CD Player thanks the WORKERS who support the 2018 Reiny, and ever previous Reiny since 1981. 2018 Reiny “Workers” WE THANK THEM.